Hola Fashion Pret A Porter Magazine is a special edition of Hola Magazine examining the world of Pret A Porter. 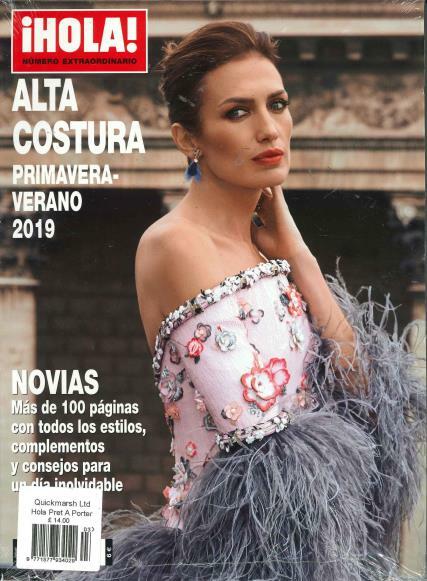 Buy a single copy or subscription to Hola Fashion Pret A Porter magazine. Each issue is packed pull of high fashion and interviews from all of the best known fashion designers from around the world. The photography in this magaizne is excellent so although written in Spanish, you dont need to read the language to appreciate the glossy imagery.